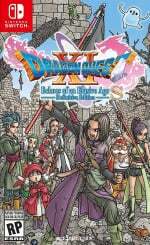 Though it’s relatively popular over here in the West, the Dragon Quest series is quite the big deal in Japan, to the point that Square Enix has enacted a company policy to only release each new game on a weekend due to complaints from other companies about loads of employees calling in “sick” and taking vacation days. 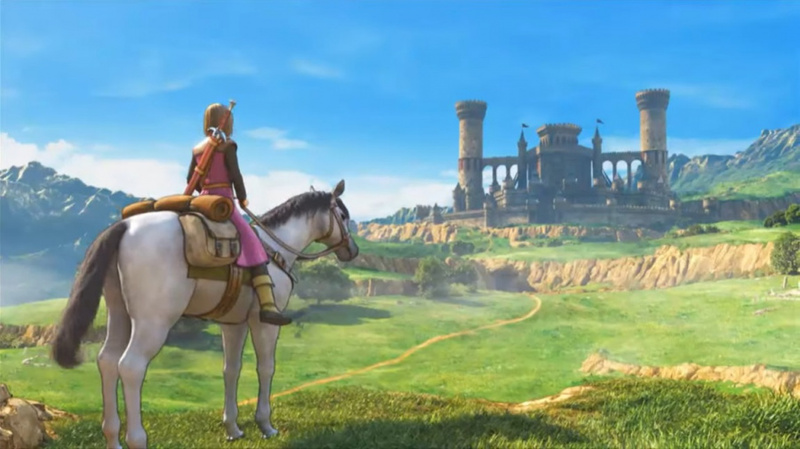 The latest title, Dragon Quest XI: Echoes of an Elusive Age, is due to arrive in the West sometime in 2018, but it launched this past weekend in Japan and put up some truly impressive numbers. Famitsu is reporting that Dragon Quest XI has cleared 2 million copies in two days, totaling 2,080,806 copies between both versions and the various bundles they were sold with; the 3DS version sold 1,130,468 units, while the PS4 version sold 950,338 units. Certainly an explosive start for the game, then, and it’s sure to go up plenty more when the Switch port eventually hits, and the Western audiences can get their hands on the game. What do you think? Will you be getting this when it comes out in the West? How well do you think it’ll do in other regions? Drop us a comment in the section below. Interested in it. Rather have VC of the nes games though. But in all seriousness, July 2017 has been a monstrous month for the Japanese gaming industry. Splatoon 2 and both versions of DQXI sold incredibly well. And people say console gaming is dead in Japan... It just takes the right game to do the job. More RPG goodness for the Switch is a good thing. Bring it on! @GameOtaku how does the VC have anything to do with this game? It's too bad the Switch missed out on the launch. Id like to know when it is coming. DQV is the best selling 3rd party SNES game in Japan. DQVII is the best selling PlayStation game in Japan. DQVIII is the best selling PS2 game in Japan. DQIX is the best selling 3rd party (aka non-Nintendo) game of all time in Japan. DQXI is already the best selling PS4 game in Japan. Saying Dragon Quest is a "big deal" is an understatement. Switch version has gone rather silent. No chance the Switch version will happen with these numbers. The targeted audience has been reached. And Sony won't let their biggest console seller in Japan go away on another system. Pleeeaaase localise the 3DS version S-E! I don't have the funds for a Switch or PS4. A PC port would go down a treat too. The Switch version is not going to be canceled because the game has sold incredibly well. That makes no sense whatsoever. By your logic, ports of successful games would never exist, because the "target audience was already reached" on prior platforms. Sony does not exert so much control over the industry to the point where they can command 3rd party publishers to cancel games on other platforms that were announced years ago and have entered development. DQXI was not funded by Sony; that's why it's also on the 3DS and will be coming to the Switch soon. more a chance it will be put on switch, clearly handheld is out selling console in japan so is big shock to anyone XD? I have a ps4 but I shall wait for switch version. The only thing that worries me is the graphical compromises on switch. @bitleman I fail to see how Sony has any control over it. I doubt they can pay off SE. DQXI stands to be too successful on Switch for Sony to arrange a pay off. I really hope we get this on 3DS. And I really hope we get the limited edition 2DS XL. Sadly I don't think the 3DS version will be released in the west. As for the switch version. We still have no idea which game it will be. It's ridiculous that S-E have still not confirmed. @kobashi100 There have been several portable Nintendo releases. DS and even recently in the last few years and even last year we had another 3DS release. Switch version will be released later. @GameOtaku Really? You'd rather have the NES games than DQ11? Really? @Axlroselm I just stopped watching trailers. After the massive slog that was Persona 5, I can't imagine playing a game that long on my PS4 over a Switch. Switch. West. Now. That is all. I love dragon quest. Havent had any money to buy the 3ds games but when this come sto europe ima save up for the 3ds version. Well..this is definitely coming to the Switch. With numbers like that, Square Enix would not ignore it. I'm looking forward to playing this on 3DS when it comes out over here in December 2018, and on Switch when it releases mid-2020. Yes I would they are classics and they have been not doing anything with the 3ds VC service. Can we now see the Switch version please, more specifically an English version? It wouldn't surprise me if it doesn't happen. It never happened on Wii and Wii U. Though there is some hope as the Switch is a handheld. Those are some very very impressive sales, even if it was always going to be thee case. i'm very interested to see if the switch version somehow combines the 3DS and PS4 versions. maybe you can play in 3D mode only on TV with graphics similar to PS4 and in 2D mode only on the handheld? And I thought the Splatoon 2 numbers were crazy. I will definitely get this game. I want it on switch (desperately) but would get on ps4 if we don't get a switch version or if it is gimped. C'mon square give it to us on switch!!! @Octane except this literally only happens with dragon quest. Okay that's nice, can we finally get news on the Switch version please?!?!?! @bitleman not up to Sony if Square Enix wants to port it to switch. This is not a Playstation exclusive, obviously if the same game got released on the 3ds the same exact day. What stuns me the most is that Nintendo managed to sell just ~5000 less Switches than PS4s during the launch of a freaking Dragon Quest game on the PS4, while nothing released on the Switch. Splatoon 2 sales declined 84% over the previous (launch) week. Switch sales only declined 10% over the previous week. Looks like Nintendo is finally beginning to meet demand for the Switch in Japan. @westman98 do you not think that those are ALL the Switch systems that were available this week? Considering that thousands of people still line up for hundreds of systems in JP I seriously doubt that supply is meeting demand. @westman98 the amount of Switch systems is better, and I hope this means that supply is LESS constrained, but I also think that they managed more systems for Splatoon 2, I guess we'll see as the weeks go on. I've generally been waiting on PS4 games that are poised to come to Switch (Yooka-Laylee, Stardew Valley), but I don't think I'll be able to handle the wait on this one. Super stoked to get my hands on it as soon as it hits western shores! I think we can safely say....It's over 2 miiiiiillllllllllllliiiiiiiiooooooonnnn! @Octane I thought they said that about Japanese arcades. The sky is falling! I do want this game. First DQ for me since I played 3. I jumped quickly to the FF train, but I can't say the last 3 FF have done it for me, so I'm happy to go give DQ a chance again. The real issue to me is if and when this will be on Switch? I will def get it for my PS4 if the Switch version isn't released, but with work, school, gym and a girlfriend, I don't have 60+ hours to devote to a RPG on my tv. Being able to play in increments and on the go is perfect for me. RPGs need to start flooding the Switch the way they have the 3ds. @darthstuey I see... thank you for pointing this out to me. I hope we get news on the Switch version soon. There's no way Square Enix is avoiding that game when the money is that good. @GameOtaku You're taking the piss. Why would anyone wanting the NES games over DQXI? The first 2 aren't even very good. And sorry but VC isn't happening. We'll see what Nintendo puts out when it's paid online is up, but DQ is not on the docket. Why not just grab them on your phone? Because they are classic games and very well done. The original Dragon Warrior was my first rpg, and it still holds up in my opinion. And no if I have to pay ala psn or xbone live style to get access to classic games for a limited tine honestly that's bullcrap. But not on Switch since its not there trololol!